Want to soar above the globe, dissect a tarantula, or pull apart a molecule? With 3D interactive apps, students can reach into new ways of learning about the universe. Over the past year, educators around the world experimented with new ways to use Leap Motion technology, and today we’re looking back at two of our favorite stories from the classroom. You can discover a wide variety of learning experiences in the Airspace Store’s education category. We have apps for any student or scholar, including our top-rated Explore and Learn app collection, which brings together the best discovery apps under one roof. 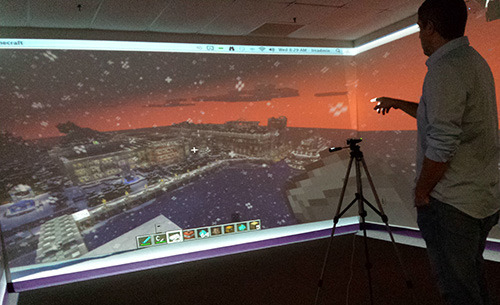 Physics, social studies, language arts – what would you like to explore with Leap Motion? Let us know on Facebook and Twitter, or join the conversation on our 2013 in review forum thread.